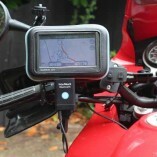 Allows you to hear your car SatNav when using on your motorcycle. 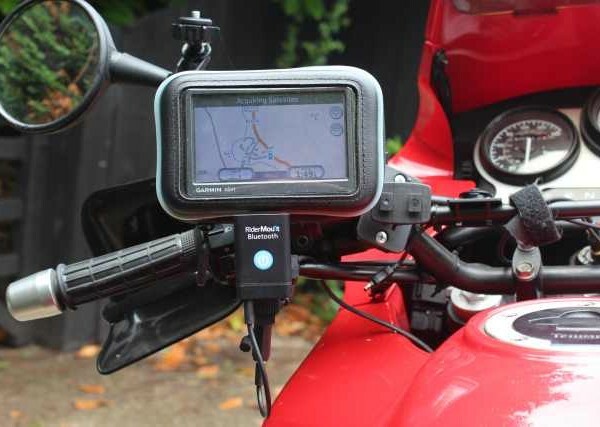 Use a car SatNav on your motorcycle … then read on. 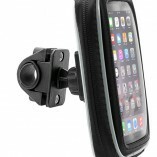 Many modern car SatNavs have no audio output so when riding you cannot hear the instructions and have to rely on taking your eyes off the road to look at the SatNav screen. 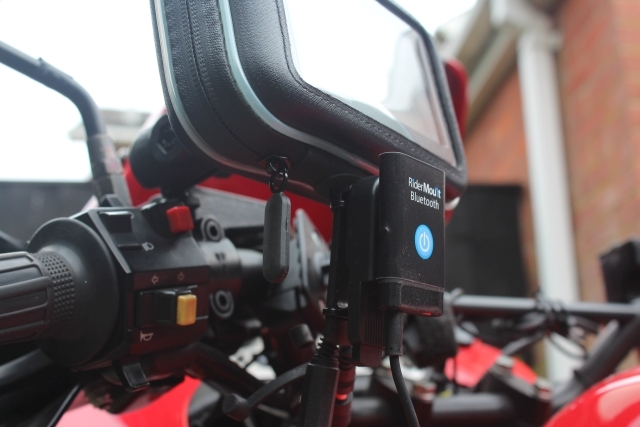 That is until now … this innovative product with bluetooth technology, designed for SatNavs without audio output, now lets you hear the instructions as you ride. 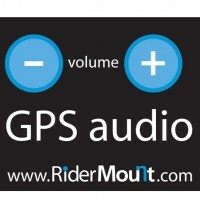 GPSaudio with Bluetooth relays navigation instructions from your GPS speaker to your Bluetooth headset … watch the video. 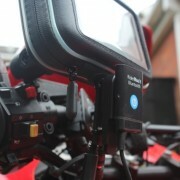 Simple to install and developed and manufactured in the UK by RiderMount this unit has undergone many miles of on-road testing to ensure that navigation instructions are transmitted clearly and that wind noise is cancelled out. 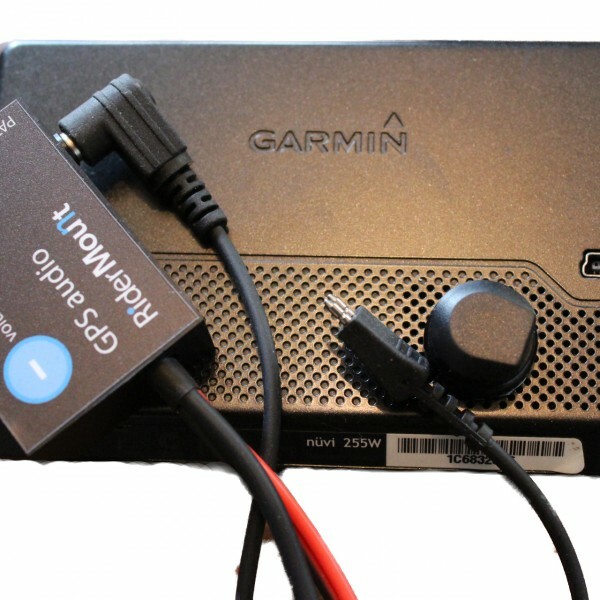 The tiny new button microphone simply sticks to the rear casing of the SatNav and can be unplugged from the GPSaudio lead when using your SatNav in the car. 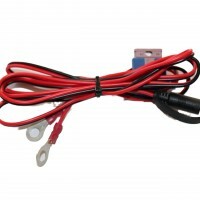 A 12v bike power lead with waterproofed plug is included in the kit to power GPSaudio. The waterproof Bluetooth module comes complete with mounting and connects to the GPSaudio unit via the 3.5mm audio socket. This means you can use the unit with a wired or Bluetooth connection. 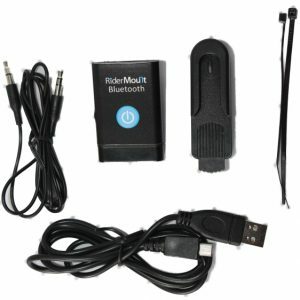 Note: Scala Rider Q1 and Sena SMH10 bluetooth headsets come with audio input to allow wired connectivity. 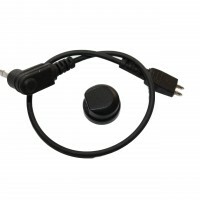 The Bluetooth module pairs reliably with all high quality branded Bluetooth headsets using the A2DP Bluetooth profile. 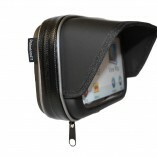 GPS Sat Nav not included!